Human Rights Defenders-Pilipinas (HRD-Pilipinas) was informed by the Task Force Detainees of the Philippines (TFDP), about the updates and information regarding the case of Mr. Temogen Sahipa Tulawie. Several appeals were already sent before regarding the harassment he was facing as a human rights defender. On January 13,2012 at about 11:45 in the evening, Mr. Tulawie was arrested at his rented house in Davao City by combined elements of Military Intelligence Group (MIG) from Region 9 led by Sgt. Reyes, members of Special Action Force (SAF) led by Supt. Fernando Ortega and members of Police Intelligence (R2). Mr. Tulawie was already planning to voluntarily give himself and face the charges hurled against him after the Supreme Court already granted the motion he filed for transfer of venue to the Regional Trial Court (RTC) of Davao City, because he believes that he will not be afforded with impartiality if his case will be tried in Jolo, Sulu. On June 13,2011, the Supreme Court granted the request for transfer of venue. Dispositive portion reads as “ Acting on the Petition for transfer of Venue, filed by Temogen “cocoy” Tulawie, one of the accused in Criminal nos. (07-09) 1648-3 and (07-09) 1649-3 from the Regional Trial Court (RTC) of Jolo, Sulu, to any court as this Court may deem convenient, and considering that there is an indication of actual and imminent threat to the life of the petitioner and his family, as well as his witnesses, as found by the Court of appeals in CA-G.R. SP No. 00002-W/RA-MIN and there is reason to believe that continuing with the trial of the subject criminal cases in the RTC, Jolo, Sulu can lead to a miscarriage of justice”. Mr. Tulawie was arrested by combined elements of Military Intelligence Group (MIG), Region 9 led by Sgt. Reyes, members of Special Action Force (SAF), led by Supt. Fernando Ortega and members of Police Regional Intelligence Group (R2), of Region 11 based in Davao City, on January 13,2012 at about 11:45 in the evening at his rented house in Elenita Heights Subdivision, Catalunan Grande, Davao City. They were already sleeping together with his two (2) children, when he was awaken by a loud bang from their door. He turn-on the light at their room, then he awaken his children and told them not to panic. When the authorities came in, he did not resist arrest. He was taken to Talomo Police station for Police blotter and to Davao Regional Hospital for medical check-up. Afterwards, he was taken to Camp Catitipan, Davao City at the office of the Intelligence division for proper documentation. As of this writing he was temporarily detained at Davao City Police Office in Camp Domingo Leonor, Davao City. On January 16, he will be presented to the Regional Trial Court (RTC) of Davao City. Mr. Tulawie was the former Provincial chairperson of Consortium of Bangsamoro Civil Society (CBCS), a coalition of Bangsamoro civil organizations (CSOs) within the province of Sulu. His work involves; monitoring and documentation of human rights violation cases affecting muslim communities in the Autonomous Region of Muslim Mindanao, especially in the province of Sulu. Mr. Tulawie is facing a case of Multiple Frustrated Murder and Attempted Murder, criminal case no. (07-09) 1648-3 and criminal case no. (07-09) 1649-3 at the Regional Trial Court (RTC) branch 3 of Jolo, Sulu, which was filed on July 22,2009. He was implicated in the bombing incident which was happened in the municipality of Patikul, Sulu on May 13,2009, wounding twelve (12) persons including Governor Abdusakur Tan of the Province of Sulu. As a human rights defender, Mr. Tulawie has also been active in organizing a local organization named “BAWBUG”, which means “Serve, Respect and Protect” in the Tausug language. Bawbug was established to address the defense of the rights of muslim communities affected by military operations in the province of Sulu. He was also an active member of Center for Humanitarian Dialogue (CHD) since 2004-2008 and a council member of Non-Violent Peace Force (NP), in the province of Sulu. From 2004-2007, he was elected to the post of municipal councilor of the capital town of Jolo, and was one of the organizers of the Concerned citizen’s of Sulu, an organization that works for the democratization of local politics, transparency in governance and upholding of civil rights and liberties of the residents of Sulu. Protest actions against implementation of Sulu Provincial Identification (ID Card System. In January of 2008, Col. Natalio Ecarma, commanding officer of the 3rd Marine Brigade stationed in Sulu, with the support of the provincial government, issued an ID system which supposedly would help military and police authorities in combating terrorism and crimes in the island-province. However, different civil society groups, human rights organizations and members the Philippine senate, particularly then Sen. Aquilino Pimentel Jr., as well as the Regional Office of the Commission of Human Rights (CHR), said that the mandatory wearing of IDs by Sulu residents is illegal, and would only lead to further violations of human rights, as residents not wearing the identification cards can be subjected to harassment and possible detention by military troops, on suspicion that they are terrorists and criminals. The issued IDs were also seen by the residents of Sulu, majority of whom are muslims, as an insult to their culture and religion and is part of the religious profiling that has been on-going in the name of “war against terror”. Sulu residents also raised the concern that the military enforcement of the ID cards likens the province of Sulu to a “garrison state”. The plan was suspended due to the successful public action undertaken under the leadership of Mr. Tulawie. Organizing fact-finding missions regarding militarization and human rights violations. Ipil massacre, In February 2008, a civilian community in the village (or barangay) of Ipil, Maimbung, Sulu was attacked by military forces of the special Welfare Group of the Philippine Navy and Light Reaction Company of the Philippine Army, in the company of US soldiers. The attacked led to the deaths of eight (8) individuals, including two (2) children and a pregnant woman. Mr. Tulawie contacted the Commission on Human Rights (CHR) and an investigation was conducted regarding the event, and helped in the preparation of the prosecution of the erring soldiers. Tanduh Pugut Bombing. On June 7,2008, as a response to the kidnapping and subsequent release by members of the abu Sayyaf of well-known news reporter Ces Drilon, the military ordered the widespread bombing in the community of Tanduh Pugut, barangay Siunugan, Indanan, Sulu. The military operations led to the injury of several civilian families, destruction of houses, crops, farms and other implements needed for the livelihood of the residents. After the military operations, Sulu Governor Abdusakur Tan went on national television stating that Tanduh Pugut is an Abu Sayyaf community. Mr. Tulawie organized a fact-finding mission by civil society organizations, including international organizations Non-Violent Peace Force (NP), the Justice Peace and Integrity of Creation (JPIC) headed by Fr. Romeo Villanueva and the Commission on Human Rights (CHR, Region IX). The result of the fact-finding was presented publicly at a meeting with civil society organizations. Governor Tan subsequently backtracked on his earlier pronouncement and instead promised that he will pay for all the damages resulting from the military attacks. However, Gov. Tan never fulfilled his promise. Proclamation of a State of Emergency in Sulu. On March 31,2009, Gov. Tan issued Proclamation no. 1 which placed the entire province of Sulu under the State of Emergency. This came at the heels of the kidnapping of International Committee of the Red Cross (ICRC) personnel, including two (2) foreigners. On that same day, warrantless search and seizure operations were conducted which resulted in the arrests without charges of several innocent civilians. Alarmed by the widespread violations occurring in relation to the declaration of the state of emergency, Mr. Tulawie asked Gov. Tan about the guidelines for the implementation of the state of emergency and the reason for the mass arrest of the civilians. In response, Gov. Tan told Mr. Tulawie that those who had been arrested are not innocent civilians, and that the arrests were not without bases. He likewise lamented that human rights organizations are always complaining when people get arrested. In reply, Mr. Tulawie reminded Gov. Tan about the previous instances wherein innocent civilians were massacred and killed due to “legitimate” military operations, which reply apparently irked Gov. Tan. Later, that same day, Gov. Tan called up Vice Mayor Tamrin Tulawie, uncle of Mr. Temogen Tulawie, to ask for a meeting with Temogen Tulawie’s mother and two (2) brothers and told them that he is no longer responsible for whatever might happen to Mr. Temogen Tulawie and his family. Undeterred, Mr. Tulawie continued with his activities, and on April 4,2009, he and two (2) other companions filed a petition before the Supreme of the Philippines (SC) questioning the legality of Proclamation no. 1. Mr. Tulawie also proceeded with a plan to hold a big protest action in front of the Governor’s office, calling for the release of the arrested civilians. The planned action was eventually cancelled because the Regional State Prosecutor of Region IX issued an order releasing those arrested. Gang rapes in Sulu. Mr. Tulawie also provided support to the women and girls who were victimized in a series of gang rapes in Sulu. He spoke in a rally, calling for the accountability of the local governments in their inability to protect the women, and for allegedly conniving with the perpetrators of these crimes. Some of the perpetrators are the sons of prominent families and members of the Civilian Emergency Forces (CEF), i e, Sulu’s own paramilitary force, and a brainchild of the governor. These and other human rights campaigns endeared Mr. Tulawie to the citizen’s of Sulu, but increasingly threatening to the local political leaders’ standing in the people’s eyes. In a meeting with the civil society, the Governor expressed that human rights reporting and advocacy are detrimental to the image of Sulu (in reference to the sitio Tanduh Pugut). In another meeting with CSOs, this time regarding the proposed ID system, the governor maintained that as the local chief executive, he alone will make decision on the ID and brushed aside the opposition thereto expressed by the CSO leaders. At about noontime, May 13, 2009, a bomb exploded as the convoy of Governor Abdusakur Tan was driving the road from the Provincial capitol on his way home. Inside governor Tan’s vehicle were the governor, his son-in-law, Mayor Hatta Berto and Vice Mayor Tamrin Tulawie. Allegedly, twelve (12) persons were injured during the incident. On May 26, 2009, Mohammad Sulayman Muin and Juhan Alihuddin were arrested and later on forced to admit their culpability. Accordingly, both implicated Mr. Temogen Tulawie and Congressman Arbison of the second District of Sulu as the alleged masterminds of the bomb explosion. The two (2) allegedly signed separate extra-judicial confessions. In the alleged extra-judicial confession of Sulayman Muin dated May 28,2009, he said he met the respondent on either the last week of April or first week of May 2009 at the latter’s house. He was with Muammar Askali and Juhan Alihuddin. During the said meeting, Mr. Tulawie allegedly laid out the two plans that he and Congressman Arbison plotted to assassinate complainant governor Tan. In his another extra-judicial confession dated June 3, 2009, he identified the motorcycle with plate number jk 2380 as the same motorcycle allegedly given to him by Mr. Tulawie. In the alleged extra-judicial confession of Juhan Alihuddin dated May 29, 2009, it stated that they met with Mr. Tulawie in the latter’s house and during that meeting, he allegedly presented to them a motorcycle Yamaha Crypton to be laid with bomb to assassinate governor Tan. Although, he was not present during the explosion, he was accordingly given TEN THOUSAND (P 10,000.00) by Sulayman Muin. On the basis of these extra-judicial confessions, on June 10, 2009, governor Tan submitted and filed his affidavit of complaint and that of his witnesses against Mr. Tulawie and congressman Arbison before the office of the Regional State Prosecutor of Region IX. On June 13, 2009, Mr. Tulawie filed a Petition for Writ of Amparo to Court of Appeals in Cagayan de Oro City, Mindanao and on June 23, 2009 he was granted Temporary Protection order and eventually provided escorts from the Philippine Marines. On June 15,2009, the Regional State Prosecutor Regional Order no. 20, designating the City Prosecutor of Zamboanga as Acting Provincial Prosecutor of Sulu for the purpose of conducting the preliminary investigation in the case of Mr. Tulawie and others. Thereafter, the City Prosecutor of Zamboanga issued a Resolution requiring the Criminal Investigation and Detection Group (CIDG) to submit within ten (10) days additional evidence against congressman Arbison, otherwise the same shall be dismiss. On June 29, 2009, Juhan Alihuddin recanted his previous extra-judicial statement, denying the voluntariness of the earlier confession and categorically denied having known the plans to kill governor Tan. He claimed that he was forced to sign the confession by the Police and denied representation of a counsel of his choosing during the investigation. He said the counsel was merely provided by the CIDG after he had already signed the prepared confession and that the contents of the said extra-judicial confession were false. On July 2, 2009, the City Prosecutor issued another resolution dismissing the complaint against congressman Arbison, but issued subpoena against Mr. Tulawie. Mr. Tulawie with express reservation of the Petition for Certiorari he filed, submitted his counter-affidavit and that of his witnesses which was notarized on July 1, 2009. He admitted that he met the said accused sometime in May but it was not their first meeting because he subsequently recalled having met Alihudin and Askali earlier. He said that meeting was his first meeting with Sulayman. He denied having any hand on the explosion and also denied having given the other accused any money, motorcycle, mobile phone or any other considerations for the purpose of killing, assassinating or doing the governor any harm. He denied the meeting on May 19, 2009 because he was at Panamao, Sulu and arrived at Jolo after six o’clock in the evening of that day, which is corroborated by several witnesses. And most importantly, he has no intention, motive or desire to do or cause any harm against the governor. Several affidavits were submitted by Jaga Lupah Sug, another Human Rights Group, signed by residents of Manang, Indanan, Sulu where Muammar Askali lives and they all affirmed the fact that Askali was at his home from the morning of May 13, 2009 until the afternoon and that it was physically impossible for him to have triggered of the bomb as claimed by accused Sulayman at about noon time on May 13,2009 at Patikul, Sulu. On July 22, 2009, Prosecutor Ricardo G. Cabaron, City Prosecutor of Zamboanga City, without calling for a clarificatory hearing on the case, found probable cause against Mr. Tulawie and subsequently issued resolution. On the same date, two (2) information were filed against Mr. Temogen Tulawie, Muammar Askali, Sulayman Mohammad Muin, Juhan Albani Alihuddin and a certain ABS, criminal case of Multiple Frustrated Murder and Attempted Murder, criminal case no. (07-09) 1648-3 and criminal case no. (-7-09) 1649-3 at the Regional Trial Court (RTC) branch 3 of Jolo, Sulu. On July 27, 2009, Mr. Tulawie filed through his counsel his consolidated Motion to Quash the Information, to hold in abeyance the issuance of the warrant of arrest and to recall the warrants, if one has been issued, and/or to suspend the proceedings pending the Petition for review. The court however, is presently vacant with the recent retirement of presiding Judge Allen Abubakar. On July 28, 2009, a Petition for Review was filed by Mr. Tulawie at the office of the Department of Justice (DOJ), Office of the Secretary, Manila, but until this period no resolution was issued. On October 5, 2009, a warrant of arrest was issued against Mr. Tulawie by Judge Leo Jay T. Principe. He issued the warrant without considering that a Petition for Review filed at the Court of Appeals is still pending for resolution. A HUMAN RIGHTS DEFENDER WAS DENIED DUE PROCESS AND CHARGED IN COURT, NOTWITHSTANDING PROCEDURAL AND SUBSTANTIVE LAPSES IN THE INVESTIGATION. I am writing to express my grave concern regarding the plight of Mr. Temogen S. Tulawie, a human rights defender. I have known that he was arrested on January 13, 2012 in Davao City. 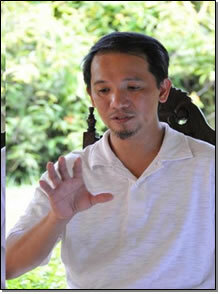 Prior to his arrest, he was already planning to voluntarily give himself and face the charges hurled against him after the Supreme Court already granted the motion he filed for transfer of venue to the Regional Trial Court (RTC) of Davao City, because he believes that he will not be afforded with impartiality if his case will be tried in Jolo, Sulu. Previously, I was informed that Mr. Tulawie is a member of different human rights organizations working on human rights issues in Sulu. His activities as human rights defender includes, public information campaigns, organizing peace rallies and peaceful protests against government policies detrimental to human rights. Earlier, it was known that Juhan Alihuddin another prosecution witness had already executed his counter-affidavit on June 29, 2009, denying the voluntariness of his earlier confession. He also denied that he was represented by a counsel during the investigation and that the counsel was merely provided by the investigation personal of the Criminal Investigation and Detection Group (CIDG), after he had already signed the prepared confession and that the contents of the confession were false. With this vital information, I am calling for a fair, impartial and disposition of this case. Moreover, I am calling all concerned government agencies to guarantee the full respect for human rights of Mr. Tulawie, who is a known human rights defender and as such should be accorded full protection of his rights as stated in the Philippine Constitution and United Nations Declaration on Human Rights Defenders. I trust that you will act favorably on this urgent matter. Thank you. I am a lawyer based in Iloilo and in the past a member of the Free Legal Action Group or FLAG. I am concerned with the plight of Temogen Tulawie, and I could sense a manipulation of the justice system perpetrated by corrupt prosecutors and judges. What is now the status of the case go Temogen Tulawie ?. Thank you for your comment Atty. Hector. The case is now being heard in davao court.